Do you really need a new website! Let’s face it, anybody who’s anybody has a website these days – or at least they should! It’s your shop windows of the 21st century. However, not everybody has a stunning website that will get results. Having been building websites since 1999, you can be sure that we are experienced enough to carry you through the whole process effortlessly. From planning, through to creative concept, build, hosting and SEO, we're the one stop shop for it all, meaning you get a consistent and joined-up approach to get that perfect result. As with everything, planning is key. At the start of the project, we arrange a series of discussions regarding your requirements, and draw up a proposal and schedule based on the information we’ve gathered. You will be given a project schedule (something often overlooked), which clearly outlines the milestones throughout the process, ensuring you always know how the project is progressing. Once we’ve agreed what you desire, then we’ll create a beautifully crafted design for your new website. Whatever style suits you, whether it be fresh, contemporary, elegant or the more classic approach, we’ll listen to what you need. With a very strong attention to detail, you can be sure of a pixel-perfect solution. We are passionate about all things web, and ensure we are always at the top of our game when it comes to latest technologies. We can create your site around a content Management System (CMS), to ensure that you always have control over your concent, without having to rely on others. Everybody is screaming about mobile devices taking over the traditional desktop computer. Whether that happens or not (we believe it will), whether you like it or not (we do), it’s a large audience that can’t be ignored. 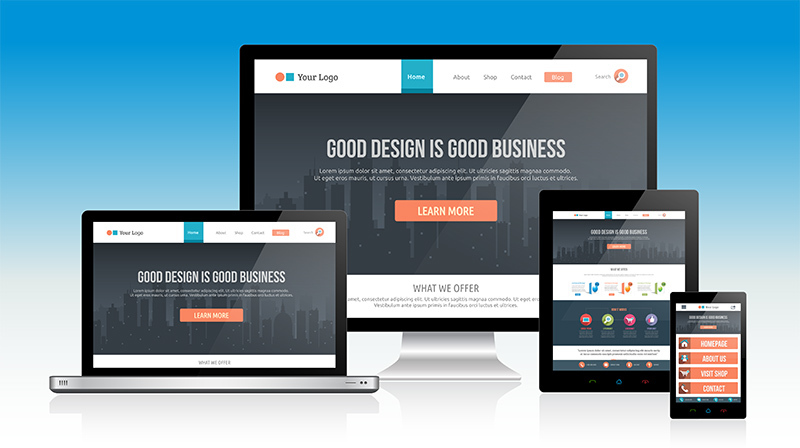 Responsive websites, respond to the device they are being viewed on, meaning they always look good. Sometimes, it's not just about the way things look. You may have a more complex requirement that is based around sophisticated functionality. We are able to build bespoke platforms to help you carry out your business. From contact forms and questionnaires, to full-blown ecommerce solutions, through to job tracking and management systems we have the ability and experience to streamline your business. Obviously with a great website, you now need to think about your SEO and hosting requirements. And guess what, we do that to!